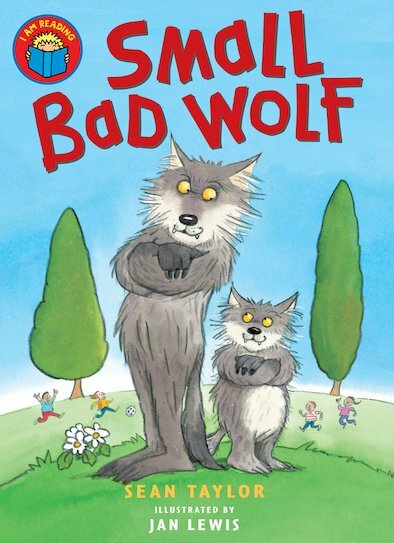 Small Bad Wolf wants to grow up to be the biggest, baddest wolf around! He loves chasing things and pouncing on them. So when dad says “Let’s hunt for dinner!”, Small Bad Wolf can’t contain his excitement. They go after the coochie-woochie chickens, the juicy little piggies and the itty-bitty kiddiwinks. But some things in a wolf’s life don’t turn out as planned, and in the end Small Bad Wolf finds himself chasing… a football! This fabulously funny full colour reader from a popular series bridges the gap between picture books and chapter books.